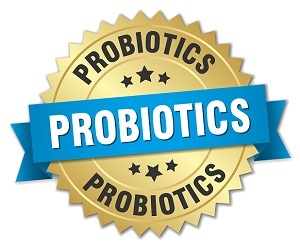 Choosing a probiotic supplement can be a challenge, with so many options available. Different probiotic supplements are everywhere in our favorite health stores and online. HSO’s, prescription probiotics, different strains, potencies, brands, it can all be so confusing. A big component of your digestive system is probiotic bacteria. Probiotic bacteria help keep opportunistic bacteria and yeast in check by lowering the pH of the colon anad by producing antimicrobial agents to help keep your digestion healthy. The colon harbors trillions of bacteria, and the flora of your gut can change daily depending on your diet. The occasional use of antibiotics is unavoidable in our modern world. Overuse of antibiotics, however, is one of the biggest causes of many of our modern digestive problems. Antibiotics reduce the population of both probiotic bacteria and opportunistic bacteria. Most opportunistic bacteria are survivors, and can take over the colon after antibiotic use leading to bacterial overgrowth. Deadly C. difficile infections are on the rise in hospitals because of the overuse of antibiotics and lack of beneficial probiotic bacteria in most people’s colons. So what can a person do to improve their digestive health? Taking a probiotic supplement when needed can improve digestive health for mostly everyone. However, with so many confusing choices out there how can you make sure you find the right probiotic? Bifidobacteria longum – probiotic bacteria that are one of the first to colonize our digestive tracts when we are born. It is important to the metabolism, fermentation, and digestion of carbohydrates. The bacteria can also ferment and break down amino acids and bile salts. This bacteria is an important strain for optimizing your digestion. Lactobacillus acidophilus – one of the most widely known probiotics and is a big part of our gut flora. It can inhibit the growth of opportunistic bacteria in the colon by lowering the gut pH. Lactobacillus plantarum – a type of Lactobacilli found in fermented foods like sauerkraut. It has been shown in many clinical studies to help the sufferers of IBS. Lactobacillus reuteri – a type of Lactobacilli that is natural gut flora and can be found in human breast milk. It can help prevent opportunistic infections in the colon, stimulate the immune system, and reduce populations of H. pylori colonies in the stomach. Saccharomyces boulardii – a strain of probiotic yeast that is a soil-based organism found living on lychee fruit. S. boulardii has been shown to help people suffering from food-borne diarrhea and C. difficile infections. Use with caution if you are suffering from yeast sensitivity. The amount of probiotic bacteria in a supplement is measured by CFU’s or colony forming units. Depending on your specific medical condition, a higher or lower CFU might be needed for optimal health. 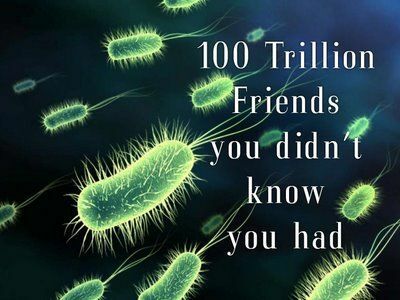 In general, look for your probiotic supplement to have at least 10 – 30 billion CFU. Some people argue that the higher amount of CFU’s in a supplement the better because billions of probiotic bacteria in most supplements are a drop in the bucket compared to the trillions that are living in your colon right now. 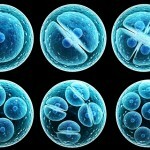 Some of the more expensive specialty probiotic supplements might even have 500 billion to 1 trillion CFU’s per capsule. Probiotic supplement quality matters when you are trying to improve your digestive health. Most high-quality probiotic supplements should be refrigerated when you purchase them. If the probiotic supplements are not refrigerated, they should state on the label that the bacteria would survive the full shelf life of the supplement without refrigeration. You do not want most of the bacteria from the supplement you ingest to have already perished. CFU – look for probiotics that claim the amount of CFU’s in the supplement is certified to survive to the end of the products shelf life compared to certification of how many units are alive at the time of manufacture. Probiotics parish if they are not manufactured or stored properly, you want to make sure that the supplier believes in their product enough that you will get the amount you paid for upon digestion. Enteric coated – make sure that your probiotic supplement is enteric coated because stomach acid can reduce the amount of CFU’s you ingest from your probiotic supplement. 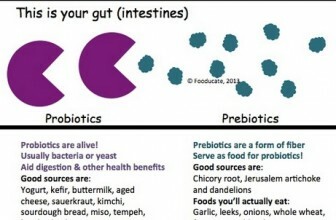 Prebiotics – some probiotic supplements come with prebiotics that can feed the probiotics to help them propagate once they reach their prime location, the large intestine. Some standard prebiotics found in probiotic supplements include potato starch, FOS (inulin,) MOS (mannan-oligosaccharide,) and ISO’s (isomalto-oligosaccharide.) Always check the source of the prebiotic in the supplement listing some prebiotics as ISO’s are sourced from wheat and may contain gluten or cause issues in those who are wheat sensitive. Proper Labeling – avoid probiotic supplements that do not list individual stains that you may be ingesting. I would never take a probiotic supplement where I did not know what strains I would be ingesting are. I would also avoid probiotic supplements that contain bacteria that are not in the Bifidobacteria, Lactobacillus, E. coli, and Streptococcus genus because they might not be bacteria that have been discovered to be normal human gut flora. Refrigeration – buy your probiotics cold, refrigeration slows the growth and increases the life span of your probiotic supplements. Unless a probiotic states otherwise that it does not require refrigeration for stability, it is always best to go with a probiotic that is. This contains individual strains of bacteria used in the supplement are listed properly, the strains used are some of the recommended strains above, the capsule is enteric coated, it contains prebiotic potato starch to help with proper probiotic propagation, and the CFU’s are guaranteed to survive at room temperature. This supplement is guaranteed room temperature stable and contains MOS which is a prebiotic that helps S. boulardii survive and propagate properly in the large intestine and reduce opportunistic Candida in the gut. The individual strains of bacteria used in the supplement are listed properly, the strains used are some of the recommended strains above, the supplement is mostly major allergen free (contains sunflower oil,) and the CFU’s are guaranteed to survive at room temperature. Power Probiotic Daily comes highly recommended because it contains individual strains of bacteria which are listed properly. 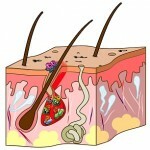 The strains used are some of the recommended strains mentioned to the left; the supplement is contained in an acid resistant capsule; the supplement is pharmaceutical grade; and the probiotic bacteria are guaranteed to survive till ingestion due to the individual nitrogen-purged blister packs. Probiotics should not be taken with food unless noted by a doctor or taking them on an empty stomach causes digestive issues like nausea. Stomach acid can eliminate probiotic bacteria that are ingested, and meals can slow down the digestion of even acid resistant capsules, which may cause them to break apart before they reach the alkaline environment of the small intestine. It is best to take a probiotic when your stomach acid production is at its lowest. Preferably, it would be best to take your it as soon as you awake in the morning with a glass of filtered or bottled water (chlorine in tap water may reduce their populations as well.) If you choose to take your supplement in the morning, you have to wait at least an hour before breakfast, to ensure the supplement makes it completely into the small intestine. Some people cannot wait an hour in the morning to eat breakfast after taking their probiotic. The next best time would be before bed as long as it has been a few hours since your last meal. Take the probiotic supplement with a glass of filtered or bottled water as well. Food sourced probiotics should be supplemented in people who are sensitive specifically to multiple probiotic supplements. If you do decide to get your own probiotics from food, it should only be prepared by yourself and not commercially obtained. Ferment your own vegetables, make your own kefir, or make your own probiotic yogurt. There are many issues with food-sourced probiotics and the supplements are generally superior. Food sourced probiotics might not contain the correct individual strains needed for the improvement of certain digestive conditions. They are also generally not enteric coated and majority of the bacteria ingested may die off from stomach acid exposure before they reach the colon. Food sourced probiotics might not contain enough colony forming units to help improve your digestive condition and finally, they may contain allergens from the food ingested like dairy for example from kefir and yogurt. What about Nature’s Way Primadophilus Fortify Women’s Probiotic? It is a delayed release probiotic supplement hat claims 30 Billion live probiotic cultures per capsule. Any opinion or research on it? It seems to work pretty well. I suffer with IBS and it seems to help with that as well as feminine health.